For over 30 years Baratto, Sullivan & Co. Insurance has insured the Central Coast’s greatest asset: its people. Find out more about our agency by visiting our Facebook page Facebook Page. 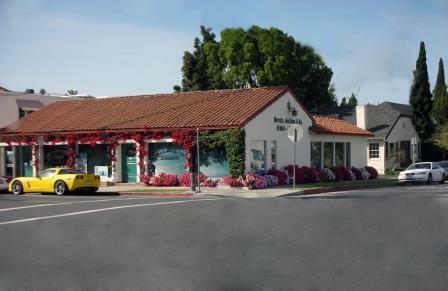 Baratto, Sullivan & Co. Insurance located in Santa Barbara was founded in 1977 by Giulio Baratto and John Sullivan in small Goleta office. In 1982 the Agency relocated to our current location and continued to grow this locally owned Agency to a multi-million dollar written premium Agency. The Agency developed an excellent reputation and wrote many of the significant local businesses and rounding the Agency with Personal Lines business as well. Baratto, Sullivan & Co. Insurance, a mainstay in Santa Barbara’s business community, remains local after the acquisition in 2012 by Insurance Matters Solutions & Financial Services, Inc. The acquisition provided a wider breadth of carrier offerings and enhanced customer support to grow the customer base not only in Santa Barbara, but throughout the surrounding communities. Baratto, Sullivan & Co. Insurance Services is staffed by a team of familiar experienced insurance professionals, providing you with all lines of Commercial Insurance products including Worker’s Compensation, Employee Benefits, Surety/Bonds and Farm related business, as well as Personal lines and Health & Life Insurance business. We are excited about the opportunity to serve in the Monterey Bay and Salinas communities and grow our customer base even further in the surrounding areas. With the combination of our employees and our mission we will provide our customers Service beyond Expectations.